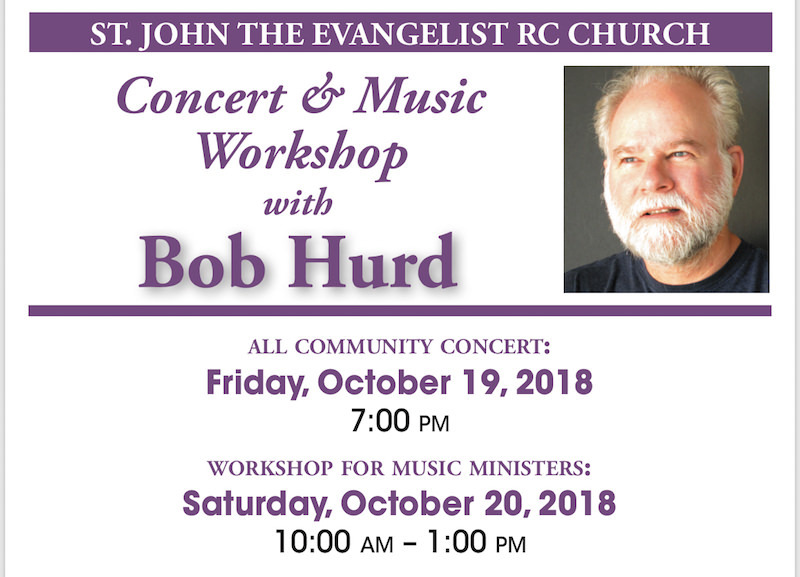 Bob Hurd (composer, teacher and liturgist) will offer a concert and music workshop at St. John the Evangelist R.C. Church in Riverhead, NY. Bob Hurd’s liturgical music is published by OCP and is featured in numerous hymnals in the United States, Canada, Great Britain and Australia.